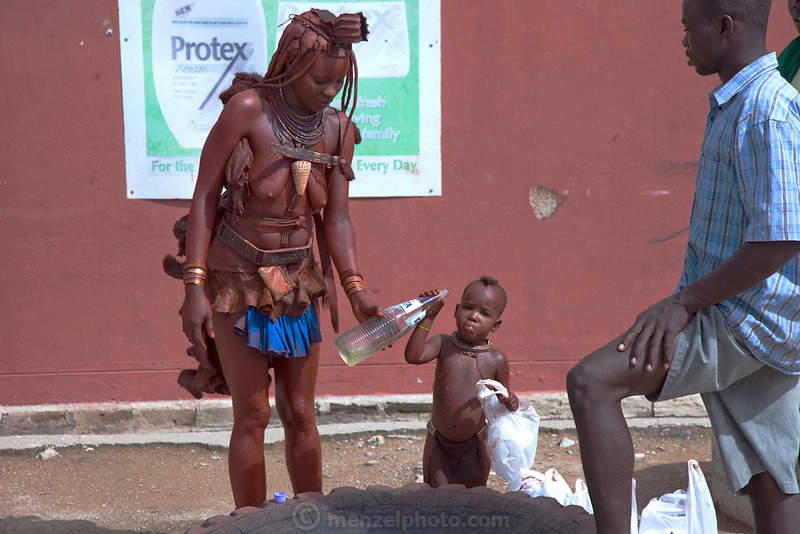 A traditionally dressed Himba woman with her child outside a supermarket in Opuwo, a town well known for cultural tourism in northwestern Namibia, after receiving money from a tourist in exchange for a photograph. Like most traditional Himba women, she covers herself from head to toe with an ochre powder and cow butter blend. Some Himba are turning to tourism to kick-start their entry into the cash economy, setting up demonstration villages advertising "The Real Himba."